Eye Movement Desensitisation and Reprocessing Therapy (EMDR) is most effective in the treatment of PTSD, anxiety disorders, phobias, continued distressing memories or trauma, and sometimes even depression. This form of eye movement therapy helps to re-set old negative memories. Eye Movement Desensitisation and Reprocessing Therapy (EMDR) ‘trains’ the brain to process memories differently, releasing the trauma associated with certain memories and freeing the mind from old-attachments. This is done through eye movements (or other bilateral stimulation) to support the processing of distressing information that remain “frozen” in the brain or being unprocessed due to their overwhelming nature (for example, in trauma). How does eye movement therapy work and is it effective? An 8-phase approach takes place, starting first with a thorough history of your life and what brought you to therapy in the first place will be taken (you don’t need to go into detail of any trauma, but a general idea of where the trauma has originated from is needed). You will then learn specific techniques to use to manage the processing of any distressing memories that may arise. A memory will be identified and the EMDR procedures will be used and repeated (therapist will ask you to hold the worst parts of that memory in mind and use your eyes to track their hand as it moves back and forth across your field of vision). Your therapist will continue to work with you and focus on specific memories until the intense affect associated with them has decreased. 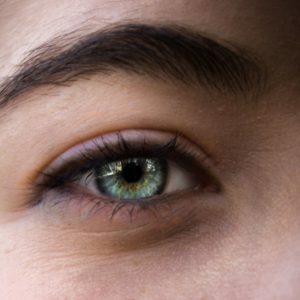 EMDR is backed up with a large evidence base, and its validity and reliability has been established by rigorous research and the National Institute for Health and Clinical Excellence. At My Online Therapy, we have several highly qualified psychologists who are experienced in delivering Eye Movement Desensitisation & Reprocessing Therapy. They can also bring this therapy to you within the comfort of your own home or office through our online platform that has been developed exclusively for the delivery of psychological therapy in a convenient and accessible way.